A very welcome addition to the reissues of Hawaii Calls vintage LPs. 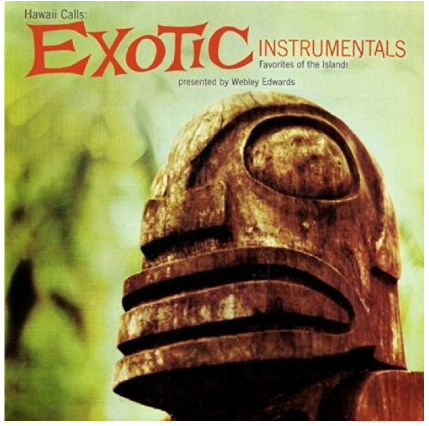 This is one of the most sought after of the Hawaii Calls LPs, for the most part because of the tiki cover art. But the songs on the album are less like the bouncy Hawaiian most are used to from Hawaii Calls, and instead present a darker more "exotica" mood. Not available in the US in any digital format…at least not yet. Sound quality is quite good and in stereo! They used the original cover art here too which is a plus.